A bit surprised to find we don't have an orSlow thread, so figured I'd create one. 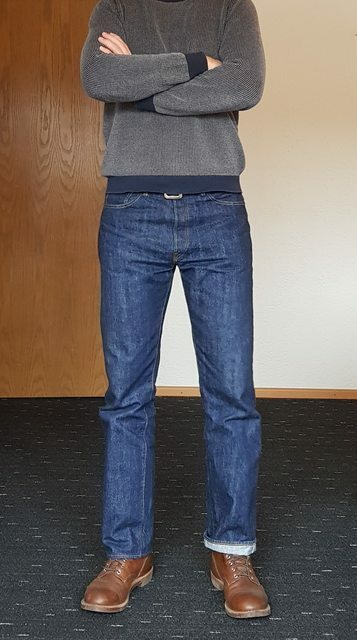 Recently picked up a few of orSlow's 107 Ivy-Fit jeans in different washes (one-wash, 2-year wash, and 3-year wash, which is possibly overkill, but whatever), and they're spectacular. Constructed from 13.5 oz. soft, slubby denim with neps throughout, they feature a roomy top-block, slight taper, and zipper crotch, a la Levis's 505 fit. Highly recommend to anyone looking for a slimmer fit with a roomier top-block and no break-in period. They also offer jeans in their 105 fit, which is a true straight-leg with a higher rise. Interesting brand glad you started a Thread.I don't have any of their items but I almost pulled the trigger on their army pants. I've been eying the Army Pants, too. Are you thinking of the slim- or regular-fit ones? Fabric on them is nice and dense, but still soft.